Continuing a passion for teaching and service-learning through a legacy gift to the UGA Foundation. 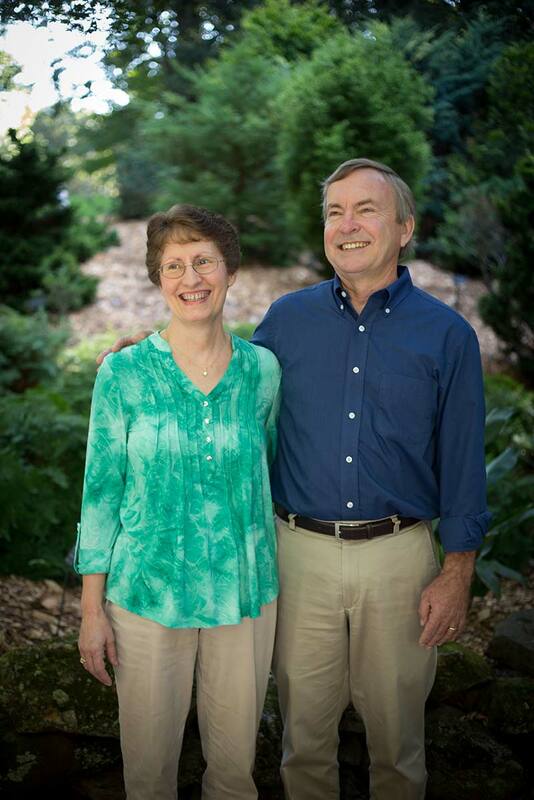 David and Evelyn Knauft established a planned gift to continue to support their passion for service-learning at UGA. David helped start Project FOCUS (Fostering Our Community’s Understanding of Science) at UGA. The Knaufts believe in the mission of the Office of Service-Learning to enlighten students about more than just coursework. They chose not to restrict their gift to one specific fund, purpose or program within OSL in order to allow their team to have the creativity and flexibility to address future needs. David Knauft has held many titles – professor, researcher, associate dean – at four different universities over the course of his career, and for the last 19 years, he has found a home at the University of Georgia. He regards laying the groundwork for what became the Office of Service-Learning (OSL) as one of his most important contributions. Now, he and his wife, Evelyn, are continuing to support the university by establishing a planned gift to continue his legacy of teaching and service-learning at UGA. David’s career in agriculture has included many accomplishments, including helping identify a mutation in peanuts that makes peanut oil healthier than olive oil. “Now, at least half the peanuts in the U.S. are grown with that characteristic,” said David. A highlight of David’s time at UGA is creating and teaching Project FOCUS (Fostering Our Community’s Understanding of Science), an ongoing partnership between UGA and the Clarke County School District to improve science instruction in elementary and middle schools. The program partners UGA science majors with teachers in the Athens community to help teach science to children in kindergarten through eighth grade. The Knaufts’ first gift to UGA was through the Office of Service-Learning. They believe in OSL’s broad mission to enlighten students about more than just course work and how they can make a difference beyond the campus. When it came time to update their will, the couple felt strongly about including the UGA Foundation, and specifically OSL. They wanted to provide ongoing support for programs after they were gone. Evelyn was attracted to OSL’s emphasis on transforming lives. “As I heard about Project FOCUS from David, and seeing how it helped elementary school students and teachers, I was impressed,” said Evelyn. OSL has expanded the mission that Project FOCUS started. It offers many opportunities for faculty and staff to find creative ways to help the community and put their education to work in unique ways. The intersection of UGA students, the community and the university was also appealing to the couple. “We like that the Office of Service-Learning focuses on helping people help themselves,” said Evelyn. Shannon is grateful for the opportunity to plan for the long term. She says the Knaufts’ gift will allow OSL to develop new and meaningful engagement opportunities for students in the community. The Knaufts hope that graduates with service-learning experiences will continue to make life better for people in Athens – or wherever life takes them.